MANHATTAN (CN) — Nearly four decades after New York’s most famous unsolved crime, a man convicted in the 1979 murder of missing boy Etan Patz received the maximum 25-to-life sentence at an emotional hearing on Tuesday. Still, the bitter proceedings inside Manhattan Criminal Court offered little finality for the still-grieving parents, or for the defense team’s efforts to free their client. Etan’s father, Stanley Patz, glared at Pedro Hernandez, the convicted man, before wishing him damnation. Hernandez’s defense team argued that their client’s father abused him, contributing to a low-grade schizophrenia that sparked persistent delusions that he killed the six-year-old Etan Patz, the first boy to appear in “missing child” ads on milk cartons. Hernandez told multiple people, for decades, that he was Patz’s killer before law enforcement finally took him seriously in 2012. While the details of his account would change, Hernandez’s story always involved luring the young Patz into the basement of the SoHo deli where he worked, strangling him and disposing of him. Maintaining Hernandez’s innocence, defense attorney Harvey Fishbein saw in his client’s case an indictment of New York’s justice system putting away a vulnerable and delusional man. “The criminal justice system has revealed its flaws in this courtroom, but this is not the end,” Fishbein said, vowing further appeals. Hernandez’s defense team presented evidence that their client has a 70-point IQ, and he has long taken antipsychotic medication to treat his diagnosed schizotypal personality disorder. Seidemann added that signs of Hernandez’s mental illness may be “appealing to the uninformed” – but 23 out of 24 jurors did not believe them. Hernandez’s first prosecution ended in a mistrial, with one juror holding out on a case for reasonable doubt. The misstep in that first case thwarted the political ambitions of the case’s lead prosecutor Joan Illuzzi-Orbon, who ran a failed campaign for Staten Island District Attorney in its wake. Judge Maxwell Wiley spoke mostly of the Patz family’s pain before delivering the harshest sentence available. “This court does not imagine that this proceeding will bring solace to the family,” he said. Praising lawyers on both sides, the judge did not respond to Fishbein’s accusations that he stacked the deck in favor of the prosecution. Reflecting on his 45-year long career, Fishbein said that he never filed as many mistrial motions as he did in the Hernandez case. Judge Wiley recently rejected his motion to dismiss the verdict amid press revelations that jurors from both trials violated court orders by communicating with each other. Fishbein said that there was a reason Hernandez did not express remorse to seek a lighter sentence. “The problem is, after a trial, if that person is an innocent person, remorse doesn’t enter into the picture,” he said. 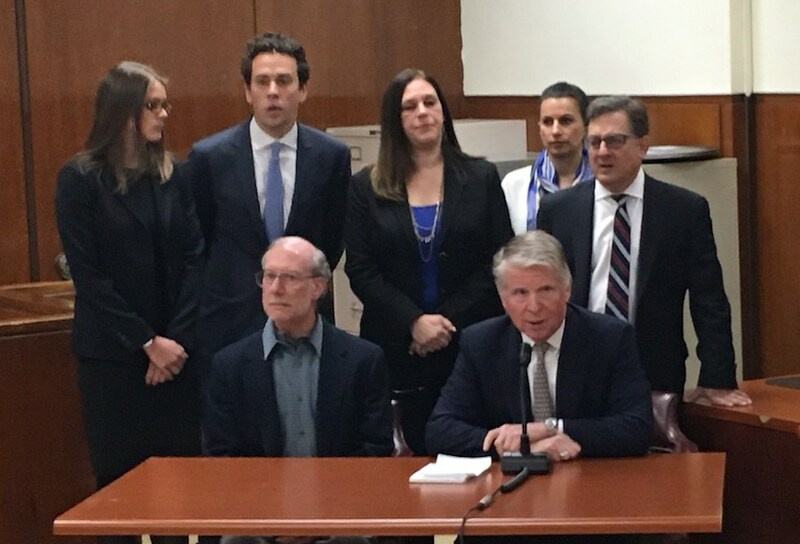 In a press conference, Manhattan District Attorney Cy Vance did not speak about the appeals ahead, instead turning his attention to other cases like Patz’s.